Chair of the Petitions Committee William Powell quoted a petitioner by saying "by playing for England a Welsh player is asked to dress up as an English player." 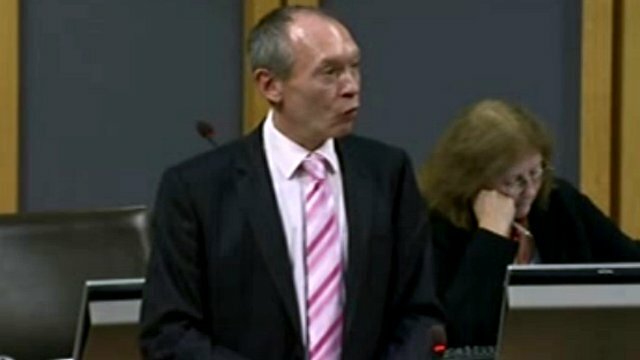 Mr Powell was leading a debate on the Petitions Committee's Report on The Establishment of a Welsh Cricket Team on 23 October 2013. Labour member Mike Hedges raised concerns that Wales would not benefit from a cricket team and that it would demise Glamorgan Cricket Team as a first class county. Conservative member Mohammad Asghar supported fully a national side for Wales saying there was no reason Glamorgan Cricket Team should be compromised. Mr Asghar said "if Afghanistan can play world cricket, then for gods sake Wales should." The Minister for Culture and Sport, John Griffiths said in his reply that there is a "real passion for cricket in Wales" and that Wales "is of course not short of sporting talent." He added that the decision for a Welsh Cricket Team "is largely matter for the relevant cricketing authority.